Ecclesiastes shows us a man who lived through this process and came out on the other side with a wiser, more seasoned perspective. When we’re surrounded by the temptation to proclaim life’s ultimate emptiness, we can find in Ecclesiastes a vision tempered by experience and ultimately seen through divinely coloured lenses. Life is destined to remain unsatisfying apart from our recognition of God’s intervention. It only remains to be seen whether or not we will place our trust in His sure and able hands. 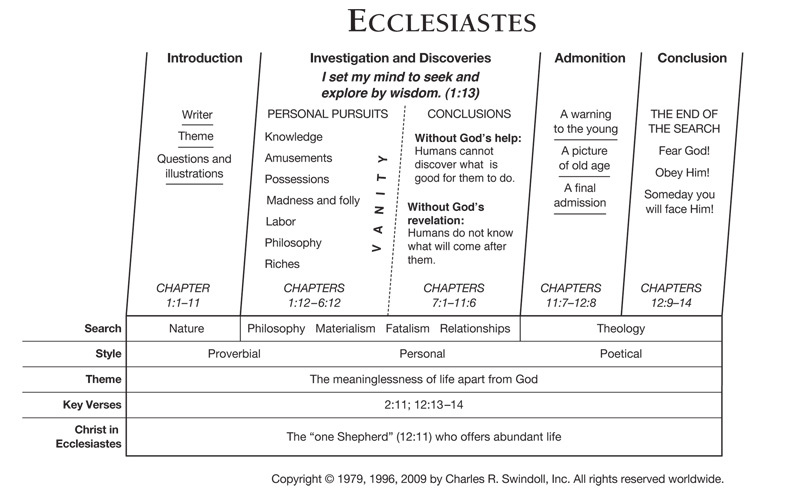 Find resources in the book of Ecclesiastes in our resource library.